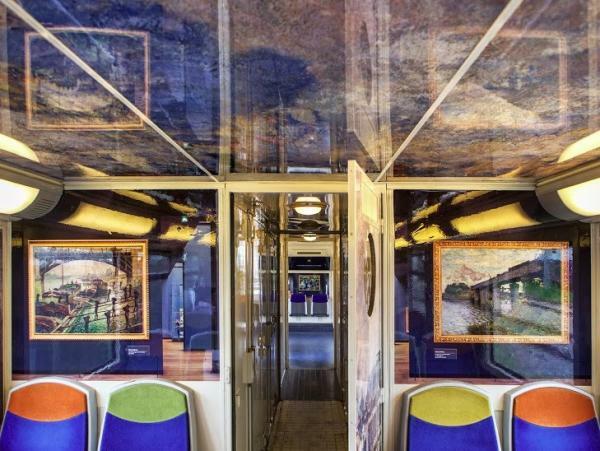 Taking the train to Giverny, home of Claude Monet, just became even more fun. 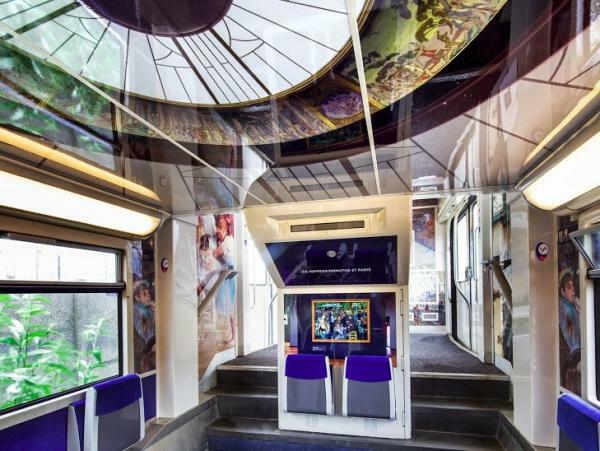 The SNCF rail network recently launched the “Impressionist train.” This upgrade to the traditional train cars makes the rail ride into Normandy a true artistic experience. 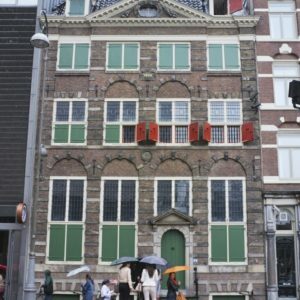 Visiting the famous home of one of (if not the) most notable Impressionist artists is less than an hour trip from Paris by train. 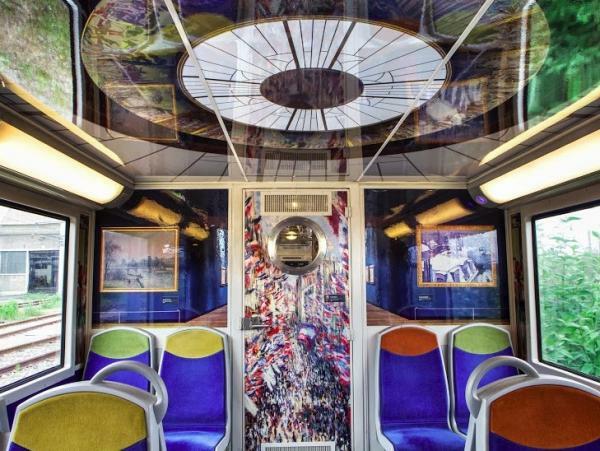 The newest edition to the Rouen line features an art theme that adds to the overall experience. 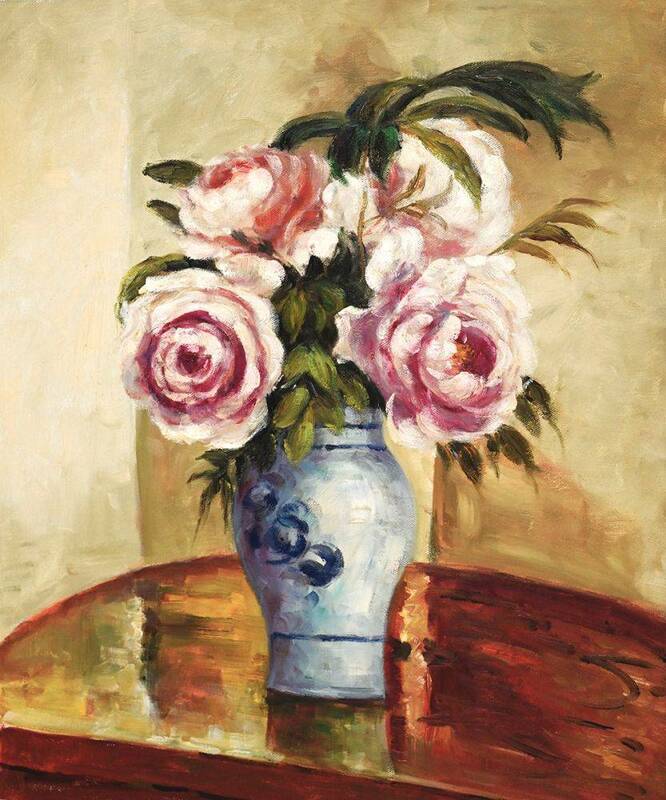 Before ever stepping foot on the historic ground where Monet once painted masterworks such as Water Lilies, visitors are treated to a preview of what’s to come. Previously, the railway network offered dressed-up service to Versailles. Instead of the typical neutral train décor, the Versailles carriers feature pictures of the famed chateau. 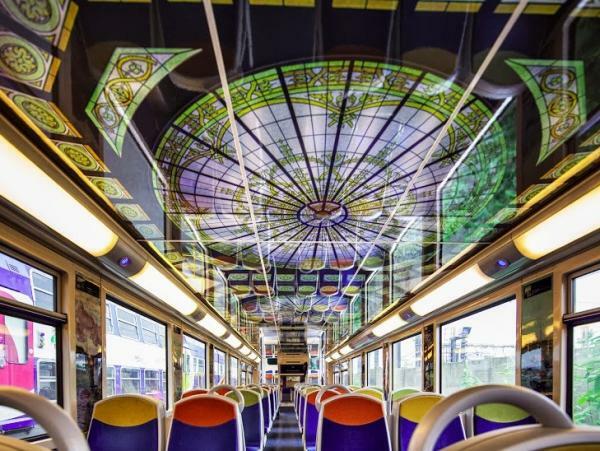 The Giverny rail will be SNCF’s summer-time venture into the art world. The car interiors feature reproductions of some of Monet’s most famous works, along with the art of his fellow Impressionist painters. 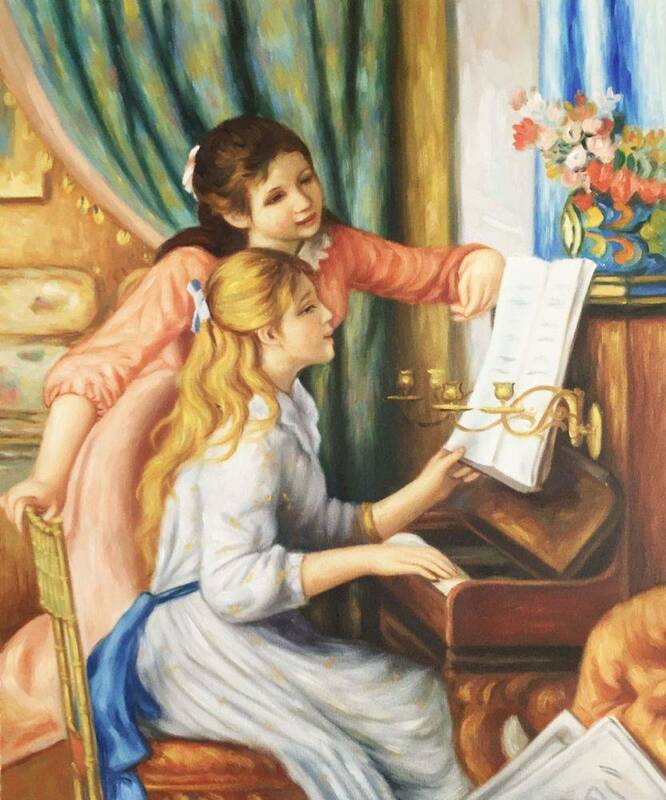 Themes for the cars include local landscapes, gardens and water and Paris and industrialism. Additional photos from the Musee d’Orsay’s architecture also adorn the insides of the train cars. Upon arrival at Vernon, riders will find the station decorated to match the interior of the cars – with Impressionist art reproductions. The “Impressionist train” runs on a Saturday and Sunday schedule during the summer months, through the end of September only. Departure times are 11:00 a.m. on both days, with a 6:53 p.m. return time. Tickets do more than entitle the rider to the train. 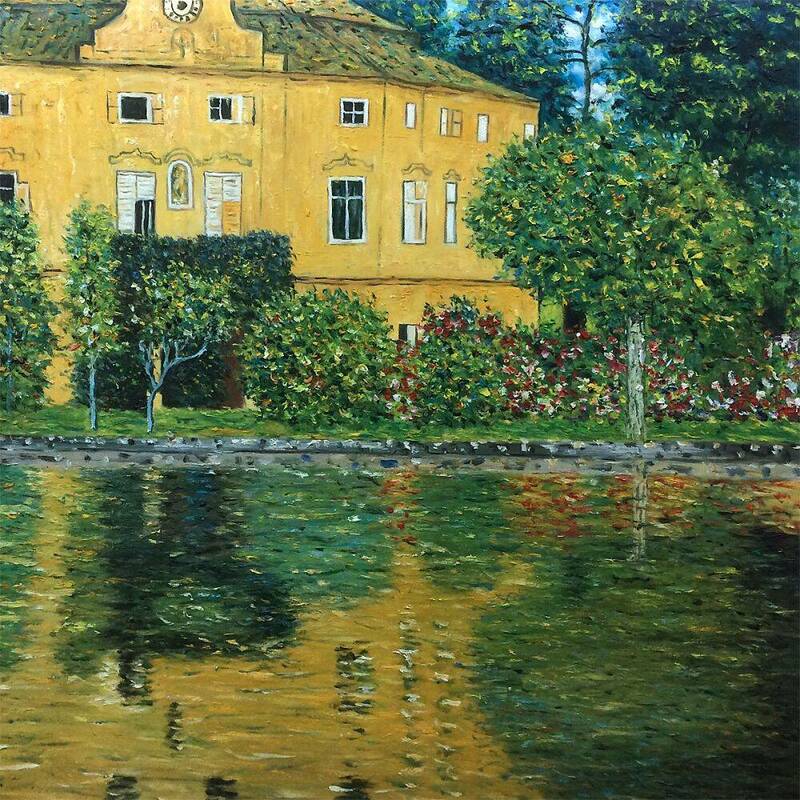 Visitors also receive admission to Monet’s house at Giverny and the nearby Impressionist museum. As a traveling art exhibit in its own right (although it is reproductions, and not originals), the “Impressionist train” is a fresh way to start out a day at Giverny. 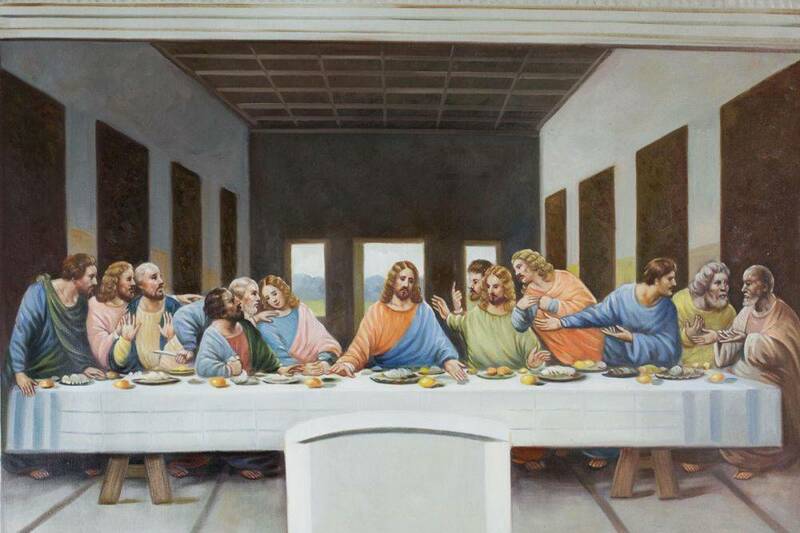 Art-lovers, Monet enthusiasts and sight-seers will all enjoy the addition that the rail ride has to offer.